Please visit us in Brookline! 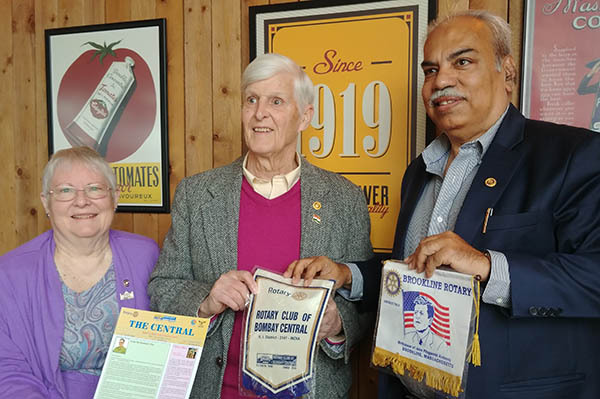 Ramesh Daswani, CEo of Light of Life Trust and Assistant Governor of Rotary District 3141 (Mumbai, India), visited Brookline Rotary April 18, 2019. He shared ideas with the club. Here he is shown exchanging flags with incoming President George Chapman and board member Joyce Graff. Celebrity Sponsors: Brookline Bank, RTN Credit Union, Weinberg Financial Group, Elias’ Mobile/Cypress Automart, Tommy Vitolo. Silver Sponsor: Goldfish Swim School, Goldstein & Herndon, LLP, Brookline Educator’s Union, American Legion Post 11, Brookline VFW Post 886. Bronze: Bell O’Dea Funeral Home, Wicked Cool for Kids, The Golden Chickpea Center, SG Scott C. Gladstone, Attorney at Law, Powerful Patient. 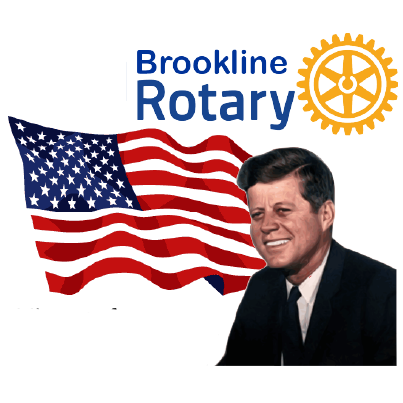 On Wednesday, 2/27/19 Brookline Rotary invited the Brookline Community to meet us at Hops N Scotch at 1306 Beacon St. for complimentary refreshments and to members of Brookline Rotary and learn what Rotary can do for and with them. Since 1938, leaders in the Brookline community have been serving the town through our grants and with our time and effort. From providing scholarships and training for our youth to purchasing needed equipment for the Mental Health Center and the Food Pantry to enabling our seniors to gather and enjoy Brookline life, Rotarians have been in the forefront of solving local and international problems, such as clean water in our Sister City, Quezalguaque. We welcome all: retirees, young professionals and new members of our community. This week's speaker is Laura Baber, the point person for Brookline's project on "The Conversation Game for Living and Dying Well" Click this link to see Laura's flyer. 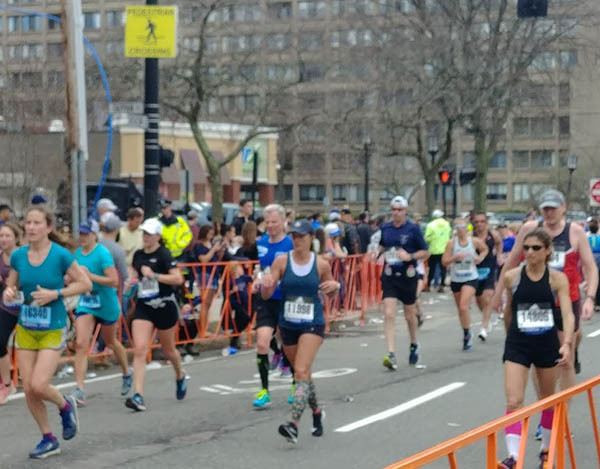 “More than ever, our community must stand together against antisemitism, racism and all forms of hatred.” -- Brookline Community Foundation. We could not have said it better. Peace to all. 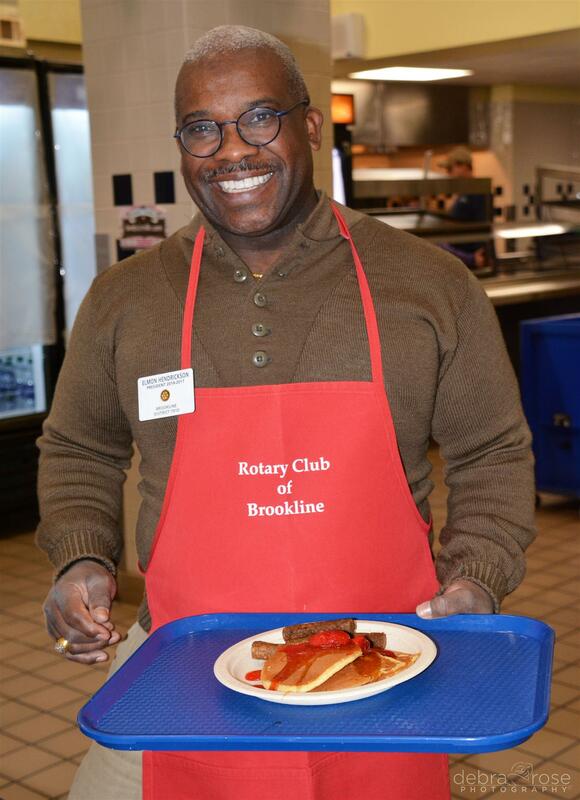 'Tis the season and 'tis Rotary so that means Brookline Rotary is doing what we do best and helping out. 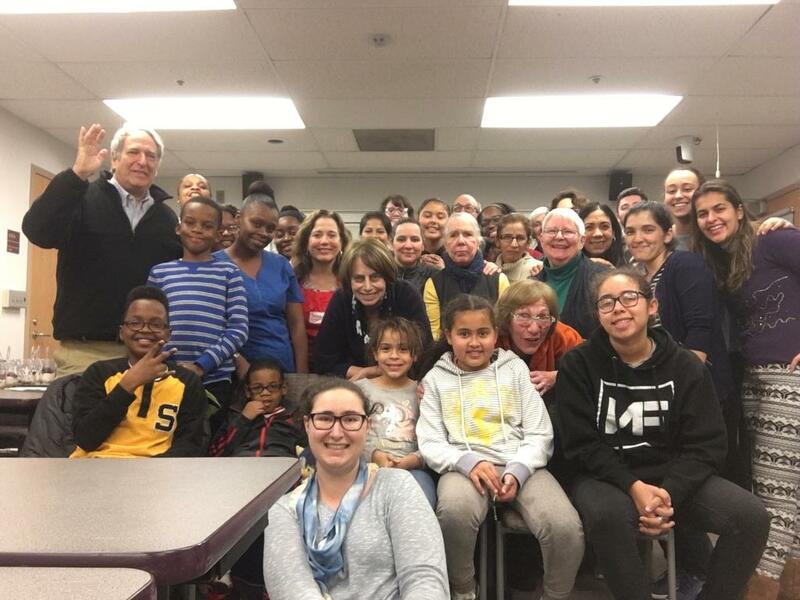 On Tuesday, 12/4/18, Brookline Rotary joined Boston University Rotaract club at their Healthy cooking Class with Women and Girls Thriving in Brookline. BU Rotaract has been meeting with Women and Girls for two years now as they cook healthy meals together every two/three months. The group has bonded over menus that encourage healthy and simple recipes, stories of each other's lives and lots of laughter. On Thursday, 12/13/18, the club will hold its annual Yankee Swap but this year with a twist. Along with each grab gift, each member is being asked to contribute 2 dozen cookies for a thank you to some very special Brookline neighbors. All members and families welcome. For more information contact Marina Brodskaya, Service Chair. Meeting is held at the VFW Post on Washington St.
Due to inclement weather, Purple Pinky Day will be rescheduled to a later date. Stay tuned. 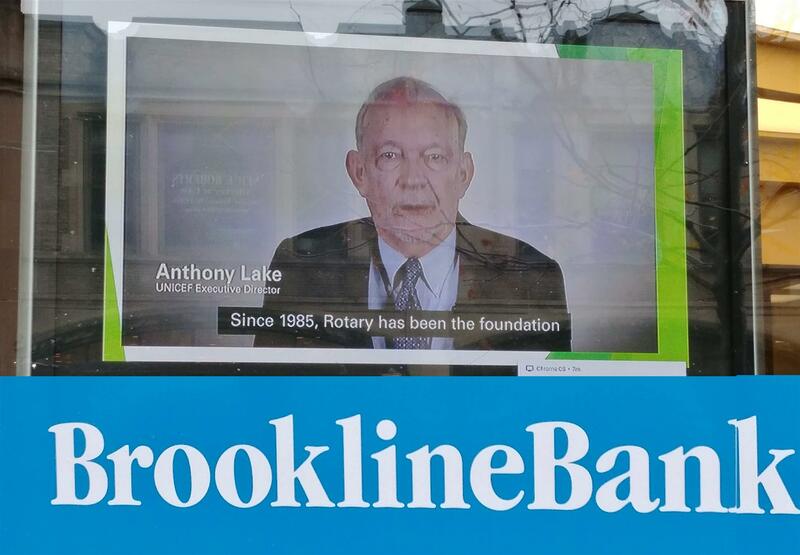 Meanwhile we ran a video presentation in the window of the Brookline Bank at Coolidge Corner all weekend! Many thanks to the Brookline Bank. 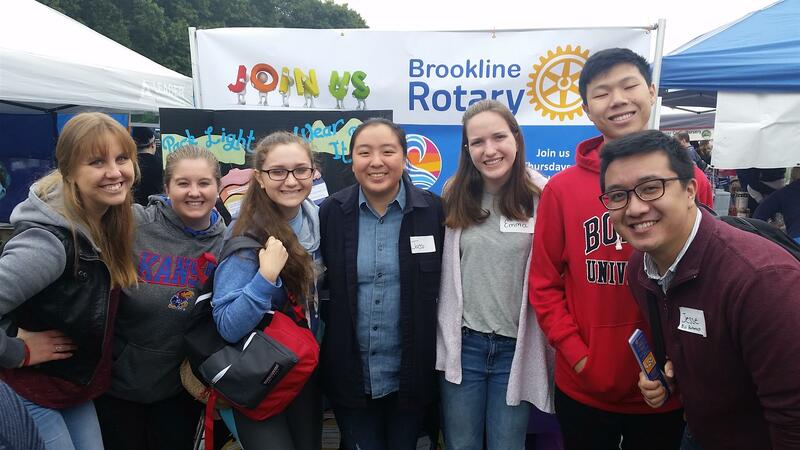 On Sunday, Sept 24th, BU Rotaract staffed the Boston Rotary club table at Brookline Day. A wonderful event for families Brookline Rotary has been participating for years. 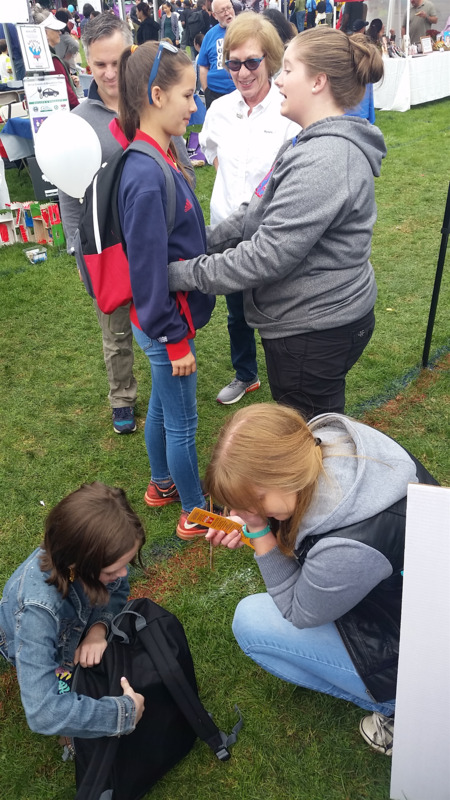 This year for the second time, the Rotaractors, many of whom are Occupational Therapy students, demonstrated the proper way to pack a back pack to avoid injury. For many school children, heavy back packs have become a concern given the strain they put on growing bones. The students were a big success with attendees at Brookline Day. Well done Rotaract! Great meeting yesterday as members partnered with Steps to Success and Eastern Service Workers to pack school backpacks with needed school supplies. Thanks to the generosity of our members 30 students will start school with pencils, pens, notebooks, and much more. Our member and resident Occupational Therapist, Karen Jacobs, made sure all packs were packed in an manner to ensure student safety with the heaviest items along the back of the packs. Occupational Therapy students and BU Rotaract will be with Brookline Rotary at Brookline Day at Lars Anderson Park on 9/23 to share these packing tips with all Brookline student and parents. The club is scheduled to do four of these service projects during our meetings this coming year. Non-members are welcome to join us. Check the calendar for dates and projects. On June 3, 2018, several members of Brookline Rotary attended the Annual Brookline High School Scholarship Breakfast. This has become a wonderful Brookline tradition acknowledging our very impressive BHS graduates. The class of 2018 was as outstanding as past graduates and Brookline Rotary is proud to join Scott Butchart (see story on page 2), his team at the High School, Brookline Community Foundation and the other scholarship donors in honoring these amazing young people. Donors are seated with the recipients and Brookline Rotary had the pleasure of meeting Shahar Hartman, one of our recipients. Shahar was heading off to Washington DC the following week to receive a Congressional Gold Medal Award in addition to his awards on the third. Missing from the photo is Bo Winiker who raised the $100,000 to endow scholarships held by the Brookline Community Foundation. 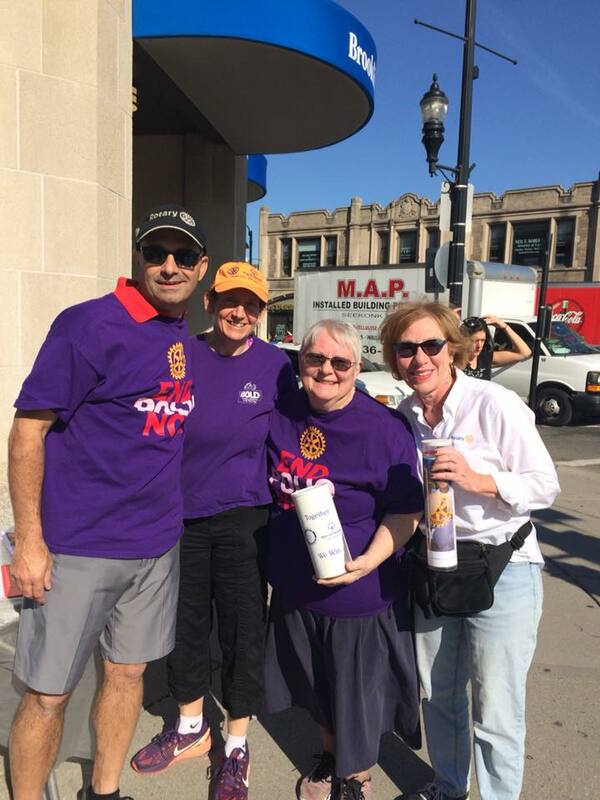 Present are Claudia Dell'Anno, Club President, Shahar, Susan Rack, Literacy Chair. BACK TO SCHOOL DRIVE Please join us in our annual Back To School project. Once again, Brookline Rotary is hoping to collect donations to outfit 20 plus back packs to help area students start the new school year off right. 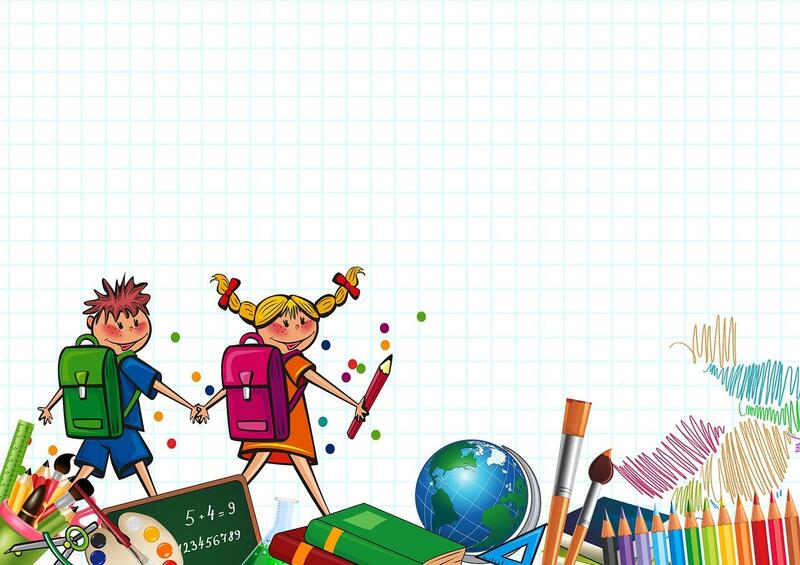 Many local families cannot afford the cost of back to school supplies. Brookline Rotary is collecting donations to purchase supplies for these students. Our goal is to strengthen the capacity of communities to support basic education and literacy, reduce gender and race disparity in education, and increase literacy. The Back Pack program is one of several projects Brookline Rotary supports to ensure literacy for children and adults. 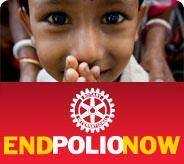 Checks can be made out to Brookline Rotary and sent to PO Box 136, Brookline MA 02446. Our hope is to purchase supplies by August 20th so that we can put together back packs at our August 23rd meeting. Members can get donations to Susan Rack at or before the 8/16 meeting. It was with great pride that Brookline Rotary learned that Sabrina Zhou, a junior at BHS, had been awarded Brookline Youth of the Year on April 11th at the Coolidge Corner Theatre. In addition to a solid academic standing, Sabrina was chosen from 61 other nominees because of her extracurricular activities including reporting for the school paper, an officer for the Asian Pacific American Club, and involvement with Steps to Success. The selection committee made a point of acknowledging Sabrina's character and how hard she works to ensure her younger siblings success as well as her own. Of great significance for Rotarians is that Sabrina was awarded a scholarship to attend Rotary District 7910 Rotary Youth Leadership Award (RYLA) training last spring. RYLA is a week-end program where students, from around the region, that are identified as potential leaders, are taught leadership skills. Sabrina subsequently attended Rotary events as a volunteer. Another finalist this year was Paul Miller Schmidt, a senior, who has been instrumental in the Makerspace at Brookline Teen Center, and who worked with Brookline Rotary to secure a District Grant to purchase equipment for the MakerSpace. Congratulations to Sabrina, Paul and all 61 honorees!